Woody Allen’s latest takes place in the fantastic thirties, a world where Hollywood is still a magic weaver and there is no such thing as a great or even a small recession. In this world we have a young and naive New Yorker (the always creepy Jesse Eisenberg) venture to Hollywood, to his estranged uncle (Steve Carell), in order to find himself. Our guy is trading a poor Jewish migrant family with this uncle that can open the doors of Hollywood to him. And open them he does. The main thing our very Allen like hero falls for, however, is his uncle’s secretary (Kristen Stewart). They plan this and that, but at the end he falls victim to his family ties and loses the girl. He starts again at the Cafe Society, a New York club established by his mafia brother. I won’t go any further, but I will say that Cafe Society is a well acted movie about people loaded with ideals who happen to bend them at their own conscience. Because life happens; and as we all know, some times a gangster taking out a neighbour can really help. Overall: Allen brings us a smart and thoughtful script, for a change, another one in his series that is all about explaining himself to the world. Only that in Cafe Society, he explains a lot about us, too. It’s unremarkable, but it is not bad either; 3 out of 5 crabs. P.S. 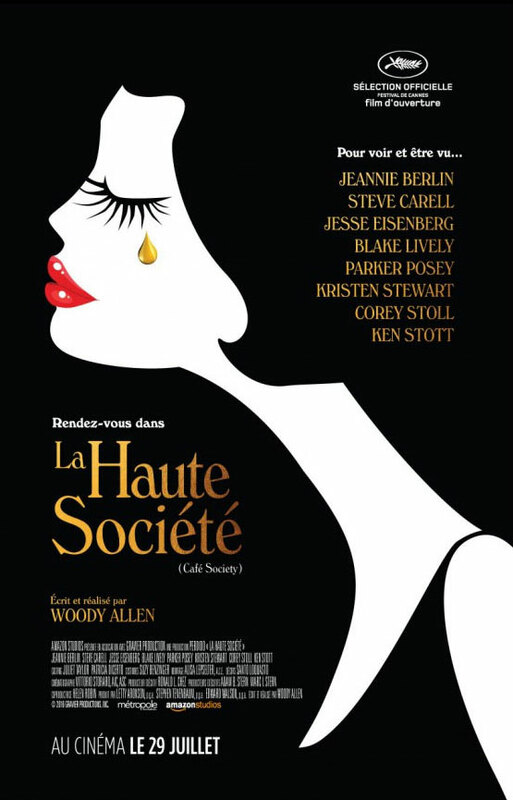 Wikipedia tells us that Cafe Society was a real establishment in New York’s scene, although with circumstances mildly different to the ones depicted in the movie.